It goes totally to the credit of Ms. Hazleton that she makes an extremely impartial and objective inquiry into the truth about the youngest and fastest spreading religion. Being the youngest religion, with established contours of faith around them, Christianity on side and spiritual religions like Budhdhism and Hinduism on the other, and growing in a hostile land, amid hostile tribes rendered a distinct military feature to the religion. Water, food, greens were all fairly limited and tribes controlled access to them. The option to flee into wilderness did not exist. The only way to exist was to claim minor difference of faith (as Muhammad would do not only in Satanic verses, and later denying it, claiming all the while he was an ordinary man), until they enter Medina, exiled from Mecca by the powerful tribesmen. The tribesmen had until then existed on defined hierarchy and fight for supremacy between tribes was an accepted norm. The higher they stood on the hierarchy, the more resources they controlled. Muhammad's philosophy ran contrary to it, as he extolled them to swear allegiance to one God, with the concept of Ummah being bigger than the tribes, and resources being equally available to all believing Muslims. It is hard to believe that Muhammad actually thought of Islam to be a spiritual quest. If one examines the politics of those times, Muhammad, a poor orphan with no rights and only claim to any sense of societal respect resting on the riches gained through marriage to a woman, fifteen years his senior, Khadija, would sure have looked at it as an ideology with definite political contours, as a mean for socio-political reform and as a path to power. It had to be such for him and his new faith to survive and grow. When Ali became the first believer at the age of 13 and Muhammad escaped Mecca in 622 AD on exile to Medina, one would believe, he was still unsure of the new faith he had then founded, as he continued claiming himself to be nothing but an ordinary human being. It was only after winning over the Meccans in Battle of Badr and huge bloodshed of Jewish tribes of Medina, who had once welcomed Mohammad and his motley crew as immigrants, that he appears to have realized the great power that those who were kept away from resources by powerful tribes till then, placed in his hand. After that he was the last Prophet, his line diverted from the Christian faith and he was the last prophet of Humanity and first prophet of Islam. Ali still was with him, his constant companion since the first revelation and was the first person to believe in his revelation apart from Muhammad's first wife, Khadija. Hard to imagine now, if Mohammad saw what he created as a religion or as an empire, with all of middle east, Egypt, Arabia, Syria, Yemen, Iran and Iraq coming under his regime. The taxes were collected in the name of Islam and battles were fought to acquire more land. Probably this duplicity in nature of what he ended up establishing made it difficult for Muhammad to declare his heir. Even when he clearly defined his own family as People of the cloak (Ahl al-Bayt), when he had dramatically presented his family under the cloak to Najran Christians, deliberately resembling Adam's description of Prophets even when he had given to Ali his sword and as much as announced that He would live in Ali and guide his people; right at the time of his death at the age of Sixty-three, he stayed silent on his succession. Shia's believe it was because he believed Ali's stake to Caliph as Islam's sole representative on Earth was pre-established, while Sunni's claim it was left open because Muhammad sought to establish Islam as democratic religion and Shura should decide on succession. A human view would tell that possibly weakened by impending death, Muhammad wanted to avoid taking sides between Ali, his oldest companion and Aisha, his youngest wife, then a teenager. The cris-crossing relationships in the family relationships as was common in tribal customs of the desert, must have made it even more difficult. For all the affection Muhammad had for the girl he married when she was six, offered by her father, Muhammad's companion in exile, a fellow Meccan, to help him get over his grief after the demise of his first wife, Khadija. It was Khadija who believed in his dreams, his ideas, his revelation and stood by him in his worst times. By the time Aisha came in, Islamic empire was already getting established. There could be a reason why such little a girl was proposed to be married to Muhammad, then in forties, by none other than her father and friend of Muhammad, Abu Bakr. This little girl, called Humayra - My little redhead, Muhammad's first wife after Khadija, ambitious and feisty, detested dead Khadija calling her toothless, old woman, only to be stopped in track by Muhammad, claiming God granted him only child through her, while withheld it from other wives. The matter of lost necklace made it worse for Aisha, even while Muhammad stood by her. Aisha, her father and supporters ensured that Muhammad's earliest words claiming "This (Ali) is my brother, my trustee, and my successor among you, so listen to him and obey." Ali was Muhammad's nephew, like foster-son to him. Muhammad was to soon marry him to his daughter, Fatima and make him his son-in-law. We have all indications that he was being groomed for succession. That notwithstanding, Aisha aggressively lobbied for her father, as Muhammad was dying, urging him to meet Abu Bakr, while Hafsa, another wife, proposed he saw Omar, her father, even when Muhammad called Ali's name. The prospective Widows in all fairness had little hope, unlike tribal traditions where widows would remarry. Muhammad had already declared his wives mother of the faithful. It was only power to be sought after which they tried secure through their respective fathers. The struggle began while Muhammad was still alive on the deathbed. He sought pen and paper, obviously to write his will, but the argument began in the room forcing him abandon the plan. What he would have written if he had what he asked for remains unanswered. It might have also resulted in a peaceful, prosperous, less fanatic, more spiritual Islam. But this also we would never know. What we know Muhammad died on 8th of July, 632 AD without an heir announced. Why Ali did not succeed Muhammad is a story of schemes, trickery, bloodshed and plain politics. The drift which began between Ali and Aisha here ends in a battle in which entire army of Aisha is wiped off, but the violence continues, till eventually, Ali's sons are also killed in the most ghastly manner at Karbala. It paved the way for split in Islam in another fifty years of fighting and eventually resulting in every kin of the prophet, not by non-muslims, but by the Muslims themselves. This book is a story written about that. It is a brilliantly researched book and paves way for the understanding of the most confounding religion for non-believers. The aggression of Islam, the distrust of Muslims in any thing un-Islamic, is narrated in this history of brutal bloodshed, which was absolutely political and had nothing religious in it. The book grips you and you will not stop until you have finished it. 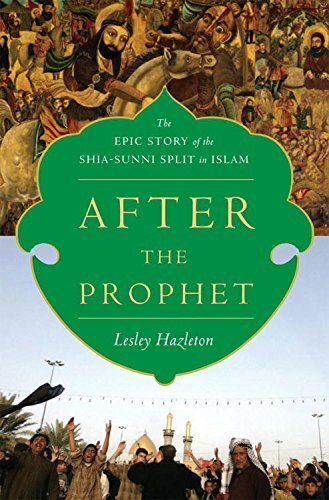 Not only for non-muslims, I daresay, even Muslims ought to read this book to come to terms with the most violent history which gave birth to the youngest and most absolutist religion on Earth, and shocked all the ancient religions. The only way to escape history is to understand it. While the whole world as on day, stands divided on Islamophobes and Islamists, the room for objective study is fairly limited. But it is worth the try for the flight into the future can only be taken by the those free of the cudgels of the past. I was reading Stendhal which I left in between to finish this book. 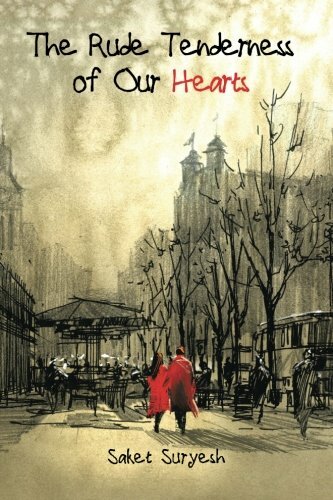 That is no disrespect to Stendhal but is to illustrate the gripping story, which holds your attention till the very end on account of its truth which is more dramatic than any drama.